Steroids Kingpin Brian Wainstein Murdered in Capetown, South Africa. Brian Wainstein was a big player in the world of underground steroid labs. He founded Axio Labs and GenXXL and his life ended on August 18th, 2017. He was murdered in what is believed to be a professional hit. The murder occurred in the early morning hours. For four years, this steroids kingpin battled extradition to America, while living in luxury in an exclusive neighborhood in Capetown. The neighborhood is known as Constantia. US authorities wanted Wainstein back in America because he was indicted on five charges, which included money laundering and conspiracy to make and distribute steroids. According to a lieutenant-colonel from South Africa’s police force (the force is known as SAPS for short), Wainstein was sleeping when he was hit with several bullets. His wife and son were in the bed with him when he was murdered, but they weren’t injured. Andre Traut (the SAPS lieutenant-colonel) stated that a couple of men, whose identities aren’t known as of yet, entered the Wainstein family home at one in the morning on Friday, the 18th of August, 2017. The men stole a trio of smart phones, but didn’t take anything else. The house was rigged with an ultra-modern security system. As well, Wainstein tended to take bodyguards along whenever he traveled. Despite tight security measures, the killers were able to get into the home, steal three smart phones and shoot Wainstein. The motive for this hit is yet to be determined. This murder may not relate to Wainstein’s steroid manufacturing and distribution. Wainstein had a reputation as a gangster in his locality and he reputedly dabbled in a host of illegal activities. Recently, he’d been spotted with a handful of crime figures in the region. This information comes from police. In fall of 2016, law enforcement officers in Western Cape pulled the steroids kingpin over while he drove his fancy BMW. It didn’t have valid registration plates. At that time, police found twelve raw diamonds which didn’t come with the usual paperwork. 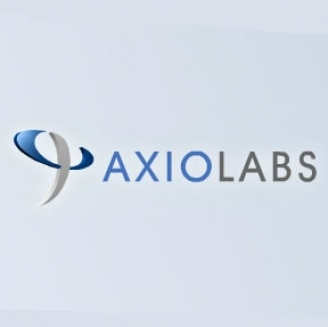 While running Axio Labs, it’s believed that Wainstein sold eight million bucks’ worth of steroids, in a 4-year time frame that started in 2004 and ended in 2008. He was someone who was wanted in a trio of nations, which were Canada, Germany and the United States. In fact, he once held the number one spot on Interpol’s “most wanted” list! Extradition is no longer an issue. However, police in Cape Town have some investigative work to do before they can establish a motive and figure out which two men broke into Wainstein’s home in August of 2018, with a mind to doing a professional hit, and who these men were working for.